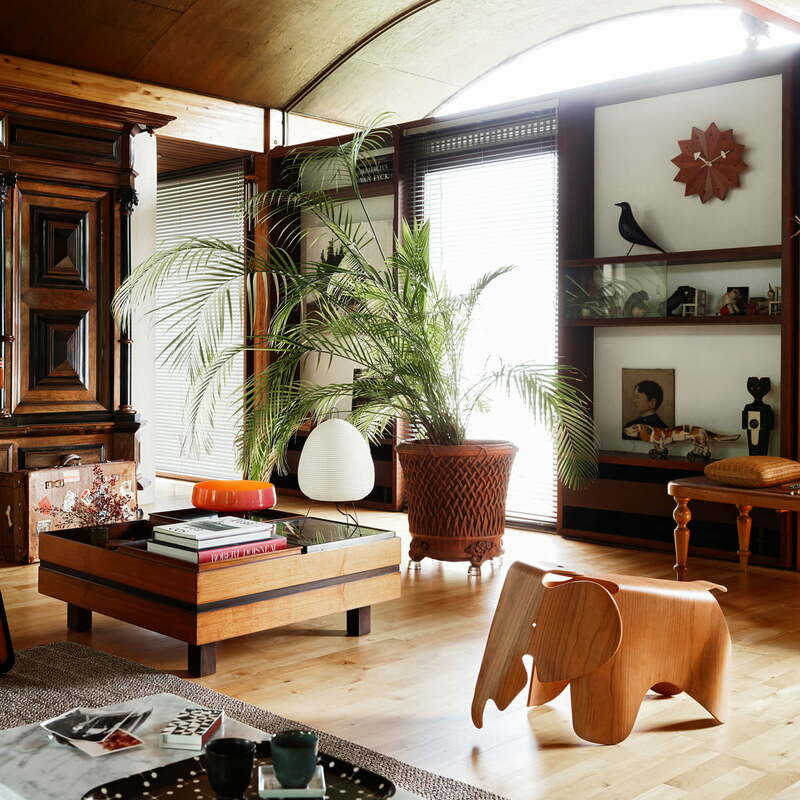 Charles and Ray Eames extended the Eames House's collection with numerous objects brought back from their extensive travels. The black wooden bird — evidently one of their most prized objects inspired by American folk art — has stood in the center of their living room for over fifty years. It is also displayed as an accessory in many of the Eames’ photographs. The bird has its origin in the mountains region of the Appalachians in the North East of the USA. Inspired by the original artifact and in cooperation with the Eames family, Vitra was the first to manufacture the Eames' House Bird. 61 of 167 customers have found this review helpful. Trust me, Eames house bird is a really eye-catch design in your house. 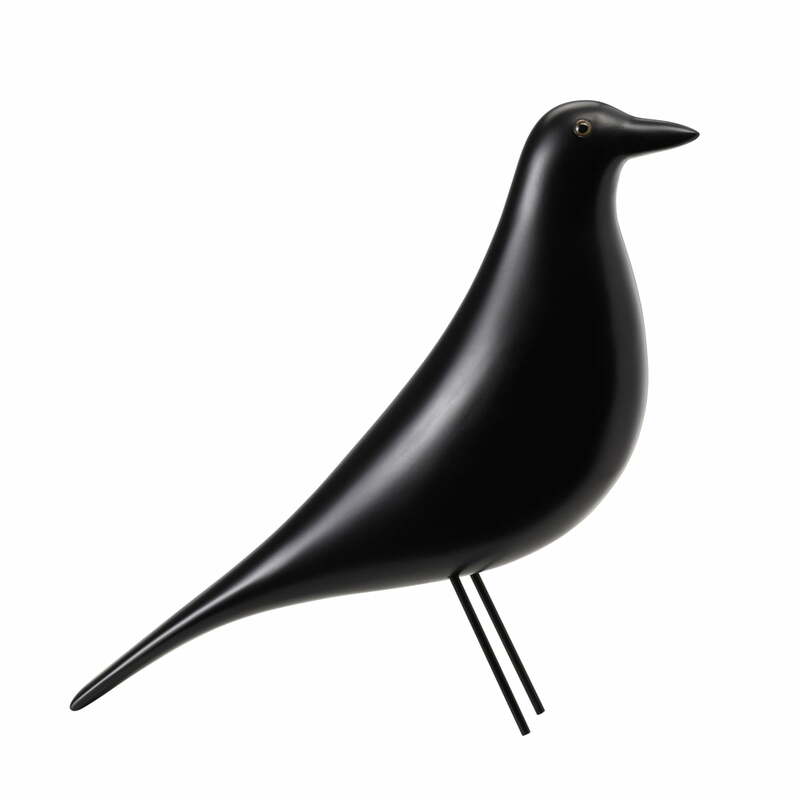 Single image of the Eames House Bird by Vitra in blick in lateral view. The design classic by Charles and Ray Eames is made of black lacquered alder and iron wire. Its height ist 27.5 cm and its length is 27.8 cm. 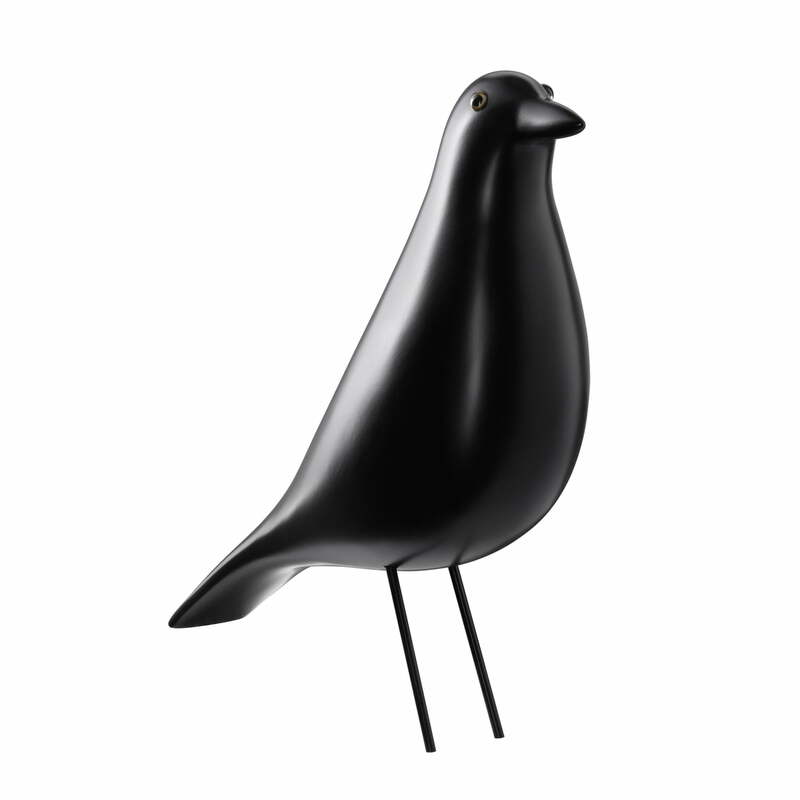 Single image of the Vitra Eames House Bird in an angle view. 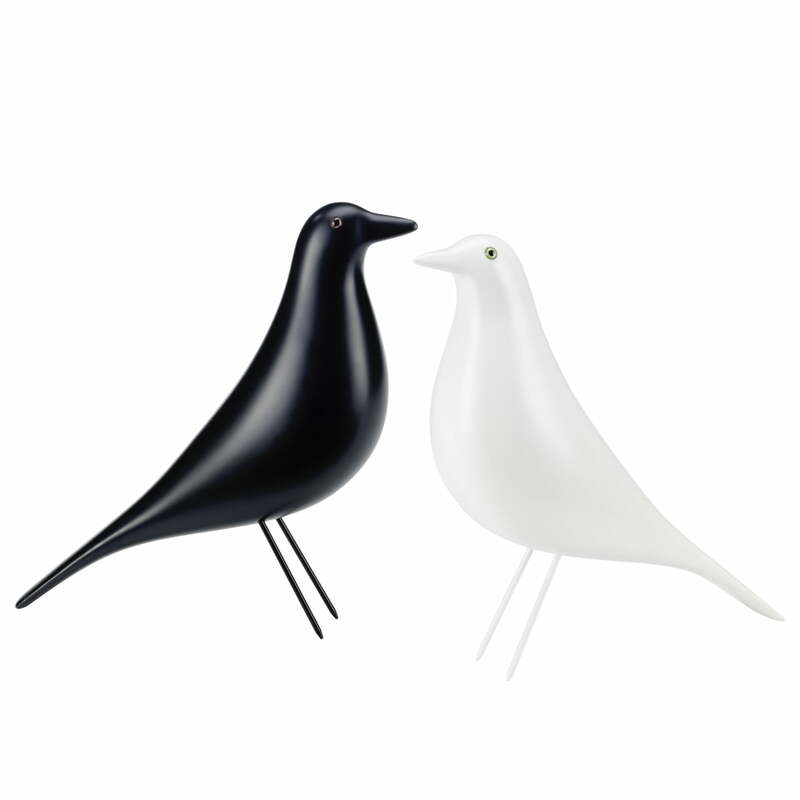 The decorative item in form of a bird is a design classic, designed by Charles and Ray Eames. 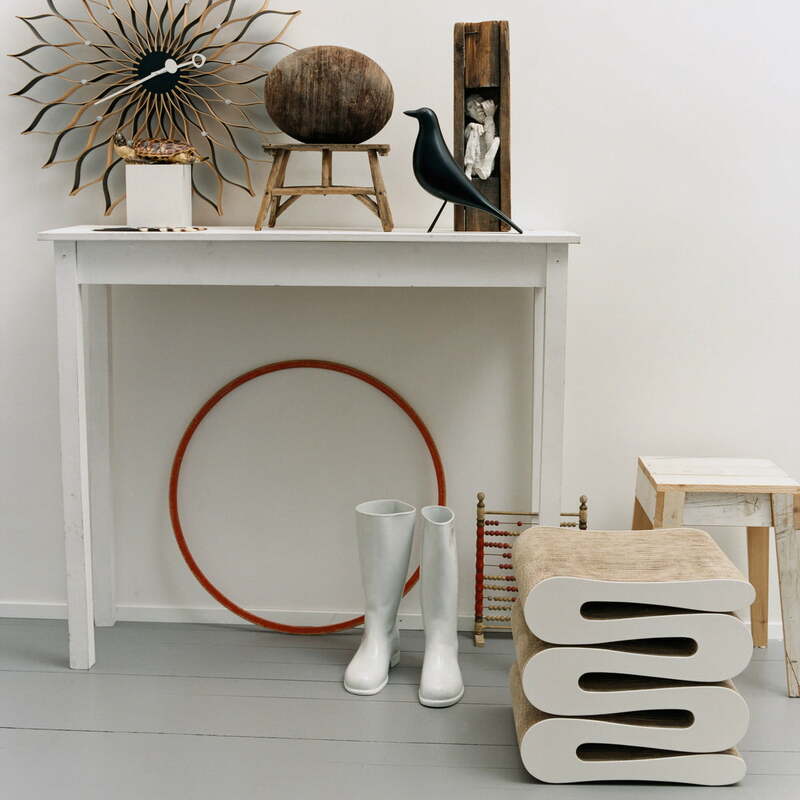 The collectible ist made from lacquered alder and iron wire. Isolated product image of the limited edition white Eames House Bird: The white Eames House Bird is available for a limited time only (01. November 2017 to 31. January 2018). The wooden Eames House Bird by Vitra, designed by Charles and Ray Eames, is a design classic that causes a classy atmosphere in combination with other Vitra objects such as the Plywood Group DCW chair in black.